Renae prides herself on delivering great customer service and has proven this through a successful 17+ year career working in retail pharmacies in both Devonport and Ulverstone. Renae entered the real estate industry some 2 years ago and has been thriving ever since, both in an administrative sales support role and then in 2018 became a licensed Property Representative. Married with 3 children who are all actively involved in numerous sporting clubs Renae can be seen volunteering her time on a regular basis along the North West Coast. 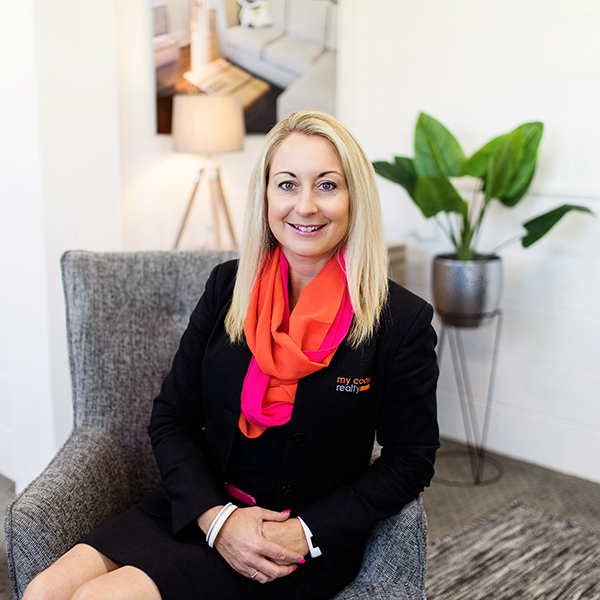 Born and raised on the Coast, Renae is proudly supported by a large extended family and her knowledge of the local area is impressive after having built, bought and renovated homes in Ulverstone, Devonport, Latrobe and Shearwater and has now settled in Spreyton. There are currently no properties that match your search criteria. Successful sale in just 3 weeks! We would like to thank Renae and all the team at My Coast Realty for the successful sale of our property in Devonport in just 3 weeks. It's been the best experience we've ever had, in regard to selling a property. From the moment we met Renae, we knew she was the sales agent for us, she presented herself with the confidence and enthusiasm of someone we could trust and kept us up to date with everything. The marketing was excellent, the photos, sign and advertising were high quality. We have no hesitation in recommending Renae to anyone who've had unpleasant dealings with other agents. She's restored our faith in Real Estate agents and we can't thank you enough for the way you handle the negotiations between us and the purchasers. Once again, we'd like to thank you Renae and wish you and your team the best for the future. Thank you, Renae, for helping sell my Mothers property on North St, your services rendered are A1. Communication is key in any business and you were always there to answer my calls or to return them in a timely manner as well as letting me know any other developments as they came to light. Thanks also to the other team members at My Coast Realty for all their support. Renae was fantastic selling our Investment property. Constantly keeping us up to date with new developments throughout the selling process. She was always friendly, polite, professional and nothing was ever too much trouble for her. Renae is an asset to My Coast Realty and we would highly recommend her to sell your property. We are very grateful for all of her help and support. So thanks, Renae. Jay and I would like to say a HUGE THANK YOU to Renae Parker for all her help in securing our beautiful new home in Sheffield. Renae was totally professional but also made the experience enjoyable, we will certainly be recommending her to our friends and family. Renae is a credit to My Coast Realty.